IBM Cloud™ Kubernetes Service is a managed container service for the rapid delivery of applications that can bind to advanced services like Watson™ and blockchain. As a certified K8s provider, IBM Cloud Kubernetes Service provides intelligent scheduling, self-healing, horizontal scaling, service discovery and load balancing, automated rollouts and rollbacks, and secret and configuration management. The Kubernetes service also has advanced capabilities around simplified cluster management, container security and isolation policies, the ability to design your own cluster, and integrated operational tools for consistency in deployment. Migrating the world’s top weather web property to a highly secure, scalable global architecture in the IBM Cloud. Using standardized deployment models that enable them to focus on innovation and business processes rather than on infrastructure. This tutorial walks you through how to scaffold a web application, run it locally in a container and then deploy it to an IBM Cloud Kubernetes cluster. In addition, you’ll learn how to bind a custom domain, monitor the health of the environment and scale. This tutorial walks you through creating a cluster and configuring the Log Analysis and the Monitoring service. Then, you will deploy an application to the cluster, use Kibana to view and analyze logs, and use Grafana to view health and metrics. This tutorial walks you through setting up a continuous integration and delivery pipeline for containerized applications running in Kubernetes. This will cover the setup of source control, build, test and deploy stages, as well as adding integrations such as security scanners, notifications and analytics. In this tutorial series, you can see how a fictional public relations firm uses Kubernetes capabilities to deploy a containerized app in the IBM Cloud. Leveraging IBM Watson Tone Analyzer, the PR firm analyzes its press releases and receives feedback. 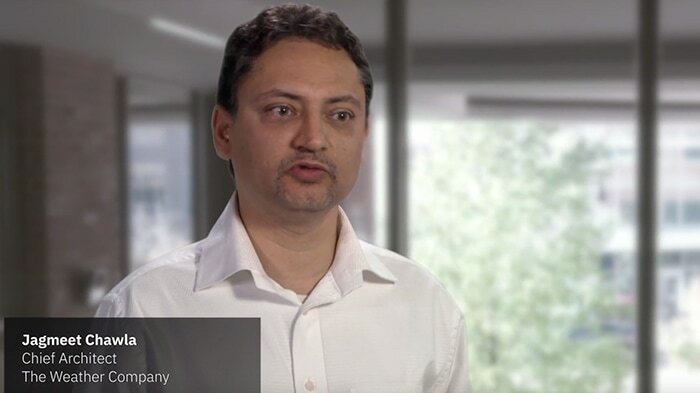 Combine IBM Cloud services with open source and third-party tools. Chris Aniszczyk and Jason McGee talk about the intersection of cloud-native, Kubernetes, Istio and microservices. 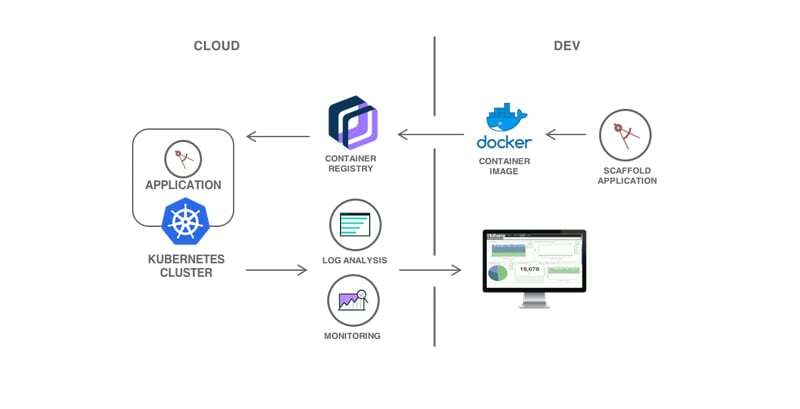 From Docker to Kubernetes, see how developers are using container-based app development. 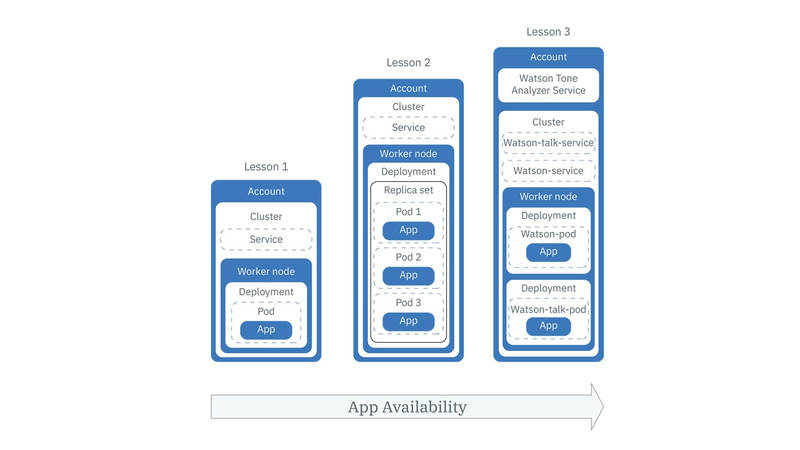 Use Kubernetes training to deploy, scale, update and bind your app to Watson services. Maximize single-tenant compute resources for cloud workloads, with Kubernetes on bare metal. Explore how to scale security while developing applications fast by establishing a chain of trust. Continuously deliver a Docker + Node.js app to a Kubernetes cluster, with a DevOps toolchain with live scanning, source control, issue tracking and online editing. Store and highly secure Docker images in a managed, private registry. Easily aggregate and search application and server logs within a single platform. Connect, manage and highly secure microservices at scale. Manage highly available apps inside Docker containers and IBM Cloud Kubernetes Service clusters on the IBM Cloud.